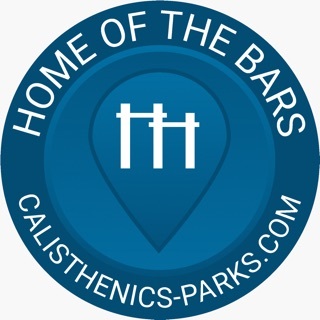 Level up your fitness and strength, gain flexibility and learn more about calisthenics. Exercises are presented in an easy and simple way to understand. Choose exercises relevant to your fitness level in the given sections. You can choose progression difficulty for some exercises. • Log your workouts - save number of sets, weight and time for each exercise (you choose what to log). • Beautiful Graphs to visualize logged workouts. • Timer - automatically saves your progress to the workout log. • Watch full videos for each exercise. • Switch routines - choose between Bodyweight Fitness (Recommended Routine), Starting Stretching (Flexibility Routine) and Molding Mobility (Flexibility Routine). • Workout Log - track your progress with beautiful statistics. • Use dashboard to explore the whole routine tree. • Export your workout log as a CSV file. • Rest Timer after each set - customizable in settings. No network connection required, all videos are available offline as high quality MP4 videos. This app is advert free, if you like it please purchase an in-app-purchase purely treated as a donation. • Review your logged workouts with beautiful graphs and statistics. • Home Screen introduces 'Feedback' card - let me know what you think about the app. Easy to follow, versatile routine translated into a clear process by the app. This all appears to have been done in service if the Reddit community that is popularizing this workout, making it free to everyone. If there’s room for improvement it’s by building in the necessary omissions for beginners. The written instructions on which this routine is based are clear that the pull-ups and dips portion should be omitted until you can do 3X8 diamond pushups and 3X8 horizontal rows. The same is true of omitting the handstand training until you can hold a straight arm plank for a minimum of 30 seconds. Perhaps there’s some way of ‘unlocking’ these once the necessary progressions have been reached. Lastly, the bigger problem is how annoying it is to switch between exercises using the arrows. Millimeter accuracy is necessary and I often get frustrated with the app. I love this app and have been using it for 8 months or so and it has been nothing but helpful in making me stay the course. There have been weeks and months where it felt like I wasn't making as much progress but but I consistently did it 3-5 times a week and basically with this app I've been able to accomplish a 1-2 second handstand. I started from a 8-10 second wall plank, so definitely progress and I definitely have a ways to go but I couldn't do it without this app. I've been following the body weight fitness community for a few months now, and it has helped me develop an adequate exercise routine to incorporate into my daily life. The Body Weight Fitness app has makes learning the routine more accessible for me especially when I'm traveling. I'm able to practice the body weight exercises, starting stretches, and mobility exercises any where and at anytime. Additionally, the timer settings and daily log system allow me to better track my progress.